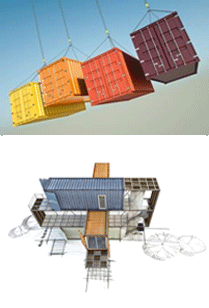 You should consider using shipping container house plans to create your container home. Examples of plans can be found on the internet, and soon this section of Shipping-Container-Housing.com will feature sample shipping container house plans to give you additional ideas. If you want to design your own house, existing plans can be a great starting point. 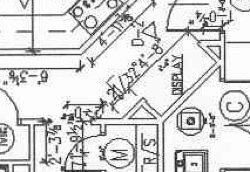 Keep in mind that even if you use existing plans, you'll need to consult and architect, an engineer, or probably both to make sure any plans you want to build are structurally sound. They’re readily available anywhere in the world. Google “shipping containers for sale” and follow up with getting some price quotes. Make sure that you specify that the containers must be ISO standard. There are some sites trying to pass off imitations as the real thing. They are inexpensive. A used container (or ISBU—intermodal steel building unit) will cost between $1000 and $6000 each, depending on size, age, condition and distance from the building site. Each 40 foot container gives you 320 square feet. They generally cut overall construction cost by 20-50%. Cuts construction time. It is not unusual for an ISBU home to go up in 24 hours and be completed within a month or two. Walls, doors, windows can all be precut in the manufacturer or retailer’s warehouse. The seller can generally put in the electrical, painting, insulation, and other built-ins before the unit is shipped to you. When ISO standard containers are used it is easy to mix and match containers from different sources and still be assured that they will line up exactly with your plans. They are versatile. They can be arranged just about any way that a 40’ x 8’ rectangle can be arranged. Older cargo containers may have rust problems. Newer containers made of Corten steel are rust-resistant. Simply specify that material when you get your quotes for used ISBUs. You need 100 ft. of yard space to work with the delivery and placement of a 40 ft. container. If the plans for your shipping container house are out of character with your neighborhood you may run into neighbor resistance. However, since plans can be designed with almost any shape and almost any exterior, you should be able to match the styles of your neighborhood. You’ll find more by googling "shipping container house plans."